Lock in a great price for Hotel De La Pyramide – rated 9.3 by recent guests! Comfy bed. Staff very good. Room ok but no frills. Good position, easy walk to harbour. Breakfast excellent - lovely to have fresh fruit. Great location, very quiet although probably noisier in summer. Comfortable beds. Easy parking and short walk into town. Friendly staff. 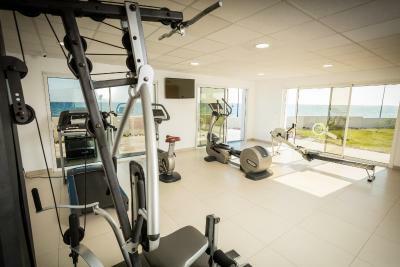 Spotlessly clean everywhere; excellent large heated pool; good breakfast served on an attractive terrace; splendid view over the peaceful lagoon. Highly recommended. 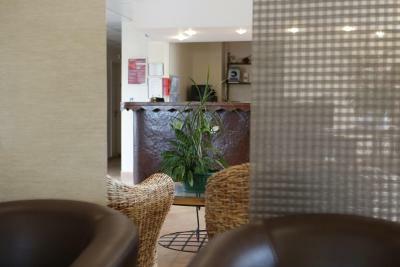 The hotel is ideal for business travelers and tourists. Very intuitive layout of the room. The bathroom and shower were excellent. Comfortable bed. Compact, but a feeling of space. Beautiful terrace for relaxing and a great view of the water. The security wall was an added plus as we felt very safe. Secure parking is also very comforting. The situation was excellent , clear view over the lagoon with a small terrace outside looking towards swimming pool. Easy access on foot or by car to harbour side restaurants. Hotel is in a great location,the staff are very welcoming.The accommodation is great with extremely comfy bed and the cleanliness throughout is amazing i haven't been anywhere quite so clean its fantastic thoroughly recommend this hotel. 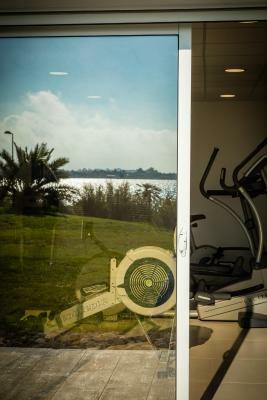 Located on the banks of the Lake Thau, the Hotel Pyramide is 1,650 feet from its beach. It offers rooms with a flat-screen TV with international channels, free Wi-Fi and a private balcony or terrace. The air-conditioned, Mediterranean-style rooms at the Hotel De La Pyramide feature wood and cast iron decor. They include a mini-bar and a private bathroom with a hairdryer. Breakfast can be taken in your room or in fine weather a buffet breakfast is available on the terrace. 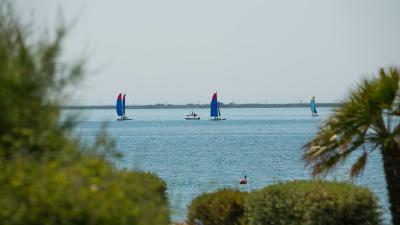 It offers a panoramic view of Sète au Cap d’Agde and views over Mont Saint-Clair and Lake Thau. You can relax by the Hotel De La Pyramide’s outdoor swimming pool, in the olive garden or explore Mèze, with its port, 15th-century church and seafood restaurants, 0.6 mi away. Free parking is available. 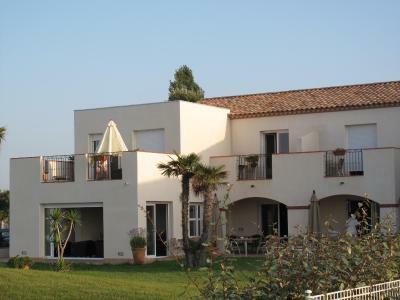 This property also has one of the top-rated locations in Mèze! Guests are happier about it compared to other properties in the area. 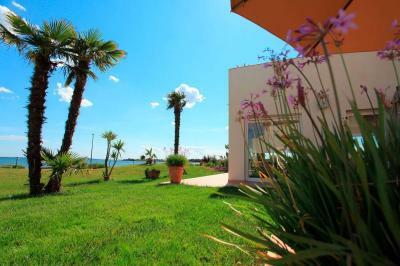 This property is also rated for the best value in Mèze! Guests are getting more for their money when compared to other properties in this city. When would you like to stay at Hotel De La Pyramide? Please note these rooms are set both upstairs and on the ground floor. Please note that alternative bedding configurations are subject to availability. Please note these rooms are upstairs. House Rules Hotel De La Pyramide takes special requests – add in the next step! Hotel De La Pyramide accepts these cards and reserves the right to temporarily hold an amount prior to arrival. 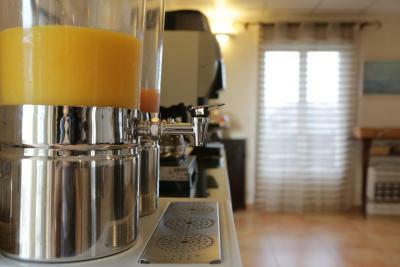 The breakfast is served from 07:30 to 10:30 during the week and from 08:00 to 10:30 at weekends. The mini-bars in the rooms are filled with nonalcoholic beverages. Please note that the swimming pool is open from June to September. If you plan to arrive outside or regular opening hours, please contact the hotel directly and in advance. We did not mind the construction of the pool very much, but it would have been nicer to be already informed of it while booking. As the hotel is not the cheapest one I would expect it to have a tea/ coffee maker at the room. The view over the Etang du Thau was beautiful (we had room nr 21 with a balcony). Very nice balcony to sit outside. Nice room, modern bathroom, and nice shower gel and shampoo is provided. In the room I just missed a tea/ coffee maker. We liked the electric blinds and the efficient heating (we had a few very windy days). The hotel sits in large grounds and has a nice garden. At the moment the garden is a bit messy due to the building of a new pool. But the pool is almost ready and were was not much building activity any more. In summer the pool will be great, I guess, it is huge and good for swimming and while using it you will have views over the Etang. Breakfast was great - fresh fruits, yoghurt, cakes, scrambled eggs and so on... Breakfast is served in a nice room with big windows overlooking the water. In summer I guess you can have breakfast outside in the garden. Parking is directly in front of the hotel and is gated. In the evening you can have a nice walk along the water to the port of Meze, which is a cozy place with a lot of small restaurants and outside tables. Moreover the hotel offers massages, the masseuse comes to your room and even brings a portable massage table. I had 30 minutes and it was very relaxing! A wonderful well run hotel in a great position. Maybe a few extras in bathroom. Nothing.....they even had a pool & gym. Perfect location just the place to unwind and chill out. The fishing port nearby offered a lovely selection of restaurants & we had a wonderful meal. One could walk to the port area but we decided to drive. Remote, but only few minutes drive to centre. Good- sized rooms, comfortable. Ideal base for exploring area or relaxing for few days. Fridge in room but no kettle for tea/coffee. Nothing - don't be put off by the slightly shabby road heading in from the town centre.